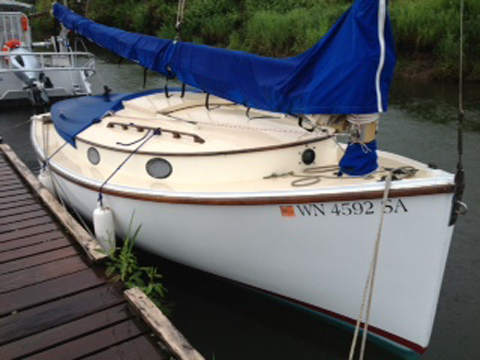 Herreschoff America 18 Classic fiberglass catboat with shoal draft and centerboard. Teak trim and bronze hardware throughout. 7.5 hp outboard in well. Excellent sail and cockpit cover. Sleeps two on like new cushions. If you want a classic wooden boat look and feel without the maintainence this is the boat for you.